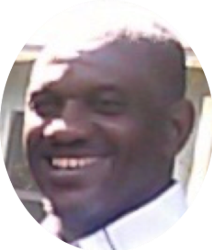 JOHNSON - James L. Johnson, a resident of Jacksonville, Florida passed away on November 4, 2018. Mr. Johnson's remains will rest for visitation of family and friends on Saturday, November 10, 2018 from 12:30 - 3:00PM at the SOUTHSIDE CHAPEL of Q. L. Douglas Funeral Home, 4105 St Augustine Road. To The Johnson Family, It is sad to lose a loved one to death. There is no comfort in death ,only grief. Almighty God understands that and he is going to eliminate it forever( Revelations 21:4). What a wonderful future blessing for obedient mankind. Please take comfort in knowing this scripture will be fulfilled. James was a big part of the family he will be miss by all, he was a very friendly guy. our condolence to the family, death is never something we look forward to so when it happen we are in shock but we have the hope of seeing our love one again because right now they are only sleeping John 11:11 Jesus said " I am traveling there to awaken him" So as James sleep may we keep the hope alive of seeing him one day.